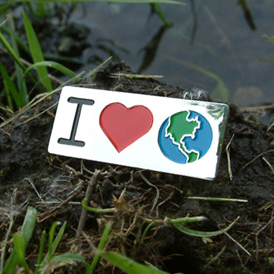 Proclaim your love for our planet with this "I Heart Earth" lapel pin. You can even express your love further by recycling this product when you are finished. We support the eco-conscious movement by making our pins fully recyclable. Printing & Promotional Unlimited First time using BizPins and it was my first BIG job with a new client. Great job. Thank you.